When the question of the historicity of Jesus comes up in an honest professional context, we are not asking whether the Gospel Jesus existed. All non-fundamentalist scholars agree that that Jesus never did exist. Christian apologetics is pseudo-history. No different than defending Atlantis. Or Moroni. Or women descending from Adam’s rib. No. We aren’t interested in that. When it comes to Jesus, just as with anyone else, real history is about trying to figure out what, if anything, we can really know about the man depicted in the New Testament (his actual life and teachings), through untold layers of distortion and mythmaking; and what, if anything, we can know about his role in starting the Christian movement that spread after his death. Consequently, I will here disregard fundamentalists and apologists as having no honest part in this debate, any more than they do on evolution or cosmology or anything else they cannot be honest about even to themselves. Here I will summarize the best arguments for historicity and the logic behind the best case for it. And this only means mundane historicity; not the Gospel Jesus, but the Jesus of honest mainstream scholarship. I am most interested in finding out if I have left any good arguments out. So please add more in comments, if any you think remain that aren’t ridiculous and can be taken seriously by mainstream experts. Likewise if you think the logic of any argument I do present can be better formulated. Of the experts who remain to be counted, two things are agreed by both sides of the debate: (1) we don’t really know how much of early Christianity actually comes from a historical Jesus (there are only diverse, contradictory, and unresolved opinions about this in the scholarly community); and (2) the cosmo-theological Jesus of the Epistles (wherein Jesus is a godman who lives in and speaks from heaven) and the mytho-heroic Jesus of the Gospels (where Jesus is more or less the central character in a set of parables about how each author believes good Christians should conduct themselves, made to issue statements supporting views the author wants his readers to regard as authoritative) is far more shibboleth than actual founder. And that remains the most likely fact of the matter no matter how historical this Jesus actually is; and regardless of what if anything he may have actually done to get the religion started. The mythic and rhetorical structure of the Gospels renders them, at best, extremely problematic as sources. In contrast, if we order the evidence from most to least reliable, we must start with the authentic letters of Paul. These most scholars agree are Romans, 1 and 2 Corinthians, Galatians, Philippians, 1 Thessalonians, and maybe Philemon. From these it is apparent that before Paul “had a revelation” (i.e. in modern scientific likelihood: hallucinated, or pretended to have hallucinated, the Christ Jesus preaching a new teaching to him from beyond the grave) the Christian “community” was wholly Jewish (this is evident in Galatians 2, for example), obeying Torah laws (including dietary restrictions and circumcision), and thus Christianity was just another Jewish sect. Not uncommon in deviating from the mainstream; I survey the evidence of some ten to thirty other known sects of Judaism at the time in The Empty Tomb (pp. 107-13), almost all of which deviated from what modern observers consider “mainstream” Judaism of the time. This new sect’s “pillars” Paul says were widely recognized as being Cephas (“Peter”), James, and John, who were possibly thus called because they were its actual founders. For “pillars” would suggest it was their testimony on which the sect stood, and Paul’s evident need to “get their approval” to maintain his mission suggests all Christians everywhere looked to them as the final authorities on legitimacy. The earliest evidence concerning the creed’s origin is in 1 Corinthians 15:3-8, which is also questioned, but however meddled with it may be, odds are it confirms at least that the movement began (as is even more plainly claimed in Romans 16:25-26) from a combination of finding “secrets” in “scripture” and recent “revelations” (i.e. 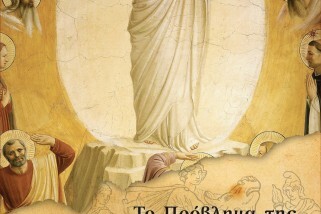 dreams or hallucinations, actual or pretended) of a resurrected Jesus by the church’s first devotees. It notably does not say these revelations occurred “on the third day” but that the resurrection was said inscripture to have then occurred, and then Jesus later appeared to confirm this, which appearance may have occurred at any time; Paul doesn’t specify when. Paul similarly says, in 1 Cor. 11:23-27 (compare 1 Cor. 15:1 and Gal. 1:11-12) that he learned of the Eucharist blessing and ritual (now called “the last supper,” but not so called by Paul) directly from Jesus (which means, by dream or hallucination, since Paul did not know Jesus alive), rather than historical or eyewitness testimony. Paul also says he introduced the version of Christianity that we now know as something distinct from Judaism (Gal. 1-2), abandoning Jewish law. It follows that a historical Jesus never taught that in life. Thus modern Christianity (being no longer “kosher,” i.e. observantly Jewish) is not based on the teachings of a historical Jesus, even if there was a historical Jesus. It is based on the pious dreams or hallucinations of Paul (or Paul’s lies thereof). The originalChristian religion, a sect of Jews, continually shrank and died out within a few centuries. The “new” Christian religion, essentially founded by Paul and not Jesus, then evolved and survived to become what we now call “Christianity” (on its continual evolution and fragmentation, see David Eller’s survey in The End of Christianity). Perversely, Islam may be the only surviving fragment of the original Torah-observant Christianity (halal being an evolution of “kosher”). This creates an even greater problem for reconstructing what role Jesus may have played in founding Christianity: how much of what is later claimed about Jesus (things he did, things he taught) is an evolution of Paul’s ideas about Jesus (or even dreams or hallucinations by Paul, or even by his congregations or successors) rather than deriving from Jesus originally? Or the ideas of other thought leaders in Christianity besides Paul? Because of data like this, attempting to reconstruct the real origins of Christianity from the Gospels (or even Acts) is next to impossible. Hence the pervasive and unresolved disagreements over this in the scholarly community, from Bart Ehrman’s “apocalyptic Jesus” to Reza Aslan’s “zealot Jesus” and everything in between, and beyond. When the evidence is looked at in this way, it is so easily explicable without a historical Jesus at all, that one ought to wonder if there indeed even was one. A case for that conclusion I lay out in On the Historicity of Jesus. And as I explain there, I do not find much merit in any other approaches to doubting the historicity of Jesus than is proposed in OHJ, from grandiose astrotheological theories to bizarre conspiracy theories, which often rest on a deeply inaccurate accounting of the facts, and deeply flawed logic. The only plausible explanation for the origins of Christianity without a historical Jesus is what I call the Doherty Thesis (first laid out by Earl Doherty in The Jesus Puzzle), stripped down to its humblest essentials. Chapters 3.3 and 12.3 of OHJ lay that out in outline (see also my article How Did Christianity Switch?). But what is the alternative? Many expert defenders of historicity agree no evidence outside the Bible is useful. Because it all ultimately just comes from late Christian reporting, which ultimately just goes back to the content of the Gospels. I detail this in Chapters 7 and 8 of OHJ, but I consider it too obviously a dead end for historicity to even produce a charitable case from. Any scholar who hasn’t accepted this by now just needs to get over it and move on. Because it’s all a dead end, from Josephus to Thallus and Tacitus. We are left with the Gospels (including Acts) and the Epistles (including Revelation). Acts is too dependent on the Gospels to get us anywhere. Nothing in Acts about a historical Jesus is really different from anything already declared in the Gospels, so Acts adds nothing new. So if the Gospels cannot get us to Jesus, neither can Acts. Likewise Revelation, which is patently fabricated. So that leaves the Gospels and the Epistles (of which, the late forgeries we must also discard). What is the best case that can be made from them? The Epistles are really the only valid battleground for this debate. Those are the only documents that have any chance of supporting the historicity of Jesus. I tackle that question last and in detail, in chapter 11 of OHJ. 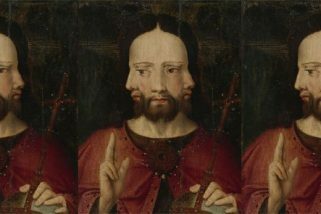 But there is still a continuing attempt to defend historicity from the Gospels, by attempting to show that something said in them couldn’t have been said unless there were a real historical Jesus. I tackle that question in chapter 10 of OHJ and, importantly, in chapter 5 of Proving History. There are also attempts to defend historicity from general arguments of probability, which don’t hold up when we take an honest look at the parallels and background (as I show in the first five chapters of OHJ). Some still try to argue even from Acts, which I show is implausible in chapter 9 of OHJ. Everything else is Christian apologetics. P01. It can be proved that the Gospels used early, eyewitness, Palestinian Aramaic sources for some of their historical claims about Jesus. P02. If there were early, eyewitness, Palestinian Aramaic sources attesting to a historical Jesus, then some of what they said must be true. P03. Therefore, some historical claims about Jesus are true. P04. Historical claims about a man can be true only if that man existed. C01. Therefore, there was a historical Jesus. P05. Some claim about Jesus, i.e. [X], in the Gospels would not be in the Gospels unless it actually happened. P06. If [X] actually happened, there was a historical Jesus. C02. Therefore, there was a historical Jesus. Jesus was betrayed by one of his followers. Jesus was crucified by the Romans. In each case, the argument is the same: no one would have invented that; therefore it must be true. Remaining examples are too much weaker and more widely disputed. Of course, neither argument I find to be sound. They’re valid. At least as I’ve formulated them here. But as I argue in Proving History and On the Historicity of Jesus, P01 and P05 can never actually be established, not even as on balance probable. Historicity defenders also rely on arguments from prior probability: arguments about the likelihood of Christianity originating with or without a historical Jesus based on background evidence alone. P07. Jews would never invent a messiah because they needed their messiah to be a real historical conqueror. P08. If they would never invent a man for that, then there must have been an actual man for it. P09. Therefore, only a real candidate for a historical conqueror could have stirred up a belief that he was the messiah. P10. A real candidate for a historical conqueror can only be a real historical man. C03. Therefore, there must have been a real historical Jesus. P11. Jews would never consider a savior who is killed to be the messiah, because the messiah by definition had to be victorious. P12. If someone would never do something, they will only do it if they are forced to. P13. Therefore, the only way Jews would invent a claim that a savior who is killed was the messiah is if they were forced to. P14. The only thing that could force them to is a real historical candidate getting himself unexpectedly killed. C04. Therefore, there must have been a real historical Jesus. Of course, neither argument I find to be sound. They might be valid. At least as I’ve formulated them here. But as I argue in On the Historicity of Jesus, P07 and P11 can never actually be established. Not even as probable. Certainly not for all Jews whatever. The internal reasoning simply doesn’t hold. Jesus is a real historical conqueror, and “really victorious” as such—in Christian imagination, both spiritually and in future fact. Thus, a real person was clearly not needed for either. To the contrary, only an imaginary person could be a “real” messiah on those terms in practice: because all others will by definition fail, and did (see Elements 23 to 29 in chapter 4 of OHJ). In short, the messiah the Christians invented is a military conquerer (he is coming with his army of angels any day now), and was successful in saving the world (by overthrowing the powers of darkness and making eternal life possible). That his invention solved some seemingly insurmountable problems in Jewish society (like the violence and corruption inherent in the temple system, and in military messianism itself) is actually suspiciously convenient. Indeed, it’s an argument for his invention; not his reality. It just makes far too much sense (e.g. Hebrews 9) to have needed a real messianic pretender to inspire it. To the contrary, it’s much easier to invent this convenient messiah, if you don’t have a real one you are trying to change the story of. P15. The idea of a messiah who would become victorious by dying, would never occur to a Jew, unless confronted by an actual candidate (like Jesus) being killed. P16. If some idea [y] would never occur to someone unless some [x] happened, and [y] occurred, then [x] must have happened. C05. Therefore, there must have been a real historical Jesus (who was killed). P17. Like all religions, Christianity must have had a founder. P18. All sources claim Jesus founded Christianity. P19. If all sources say someone founded a religion, they probably did. C06. Therefore, Jesus probably existed. Here of course, again the arguments might be valid, but do not appear to be sound. P19 and P15 cannot be established. Attis, Dionysus, Osiris, Moses (for Biblical Judaism), Moroni (for Mormonism), Gabriel (for Islam), Ned Ludd (for the Luddites), Ras Tafari (for the Rastafarians), and John Frum and Tom Navy and even Prince Phillip (for various Cargo Cults), are all credited as founding their respective religions. Yet they most certainly did not (see the subject index in OHJ for each of these). Our best and earliest sources in fact say Jesus “founded” Christianity only by mystical communications from heaven (1 Cor. 15:1-8; Gal. 1:11-12; Rom. 16:25-26; indeed even 1 Cor. 11:23-25 and, less directly, 2 Cor. 12). Just like Moroni and Gabriel did. And much like the Cargo Cults. Those same sources even tell us the inspiration for a dying-and-thus-victorious messiah came from scripture (ibid. ), and internal logic (e.g. Hebrews 9); and in context it is very likely that it did, requiring no actual death (see not only Elements 23 to 29 in chapter 5, but elements 5 to 9 and 15 to 18 in chapter 4, of OHJ). So neither P19, nor P15, hold up. When it comes to the Epistles, the standard arguments include “Paul refers to Jesus becoming flesh and being crucified and buried” and “Paul refers to teachings learned from Jesus,” but since those are actually irrelevant to the debate (the Doherty Thesis already proposes that Christians believed Jesus became flesh and was crucified and buried…in the heavens, not on earth; and that Christians received teachings from Jesus…by revelation), they should be discarded out of hand. The Doherty Thesis entails the first Christians believed Jesus was an actual historical person…just not in the sense we now accept. They considered Jesus historical the same way they considered Satan and the Angel Gabriel to be historical. But honest historians would not cite Christians attesting to the existence of (and deeds and teachings of) Satan and Gabriel as evidence Satan and Gabriel existed. So they shouldn’t be using that argument for Jesus, either. It’s just illogical. P20. An epistle author said something, i.e. [Z], that he would not have said unless there was a real historical Jesus. P21. If an epistle author would not say [Z] unless there was a real historical Jesus, then if an epistle author said [Z], there was a real historical Jesus. C07. Therefore, there was a real historical Jesus. Jesus was born of the seed of David (Rom. 1:3). Jesus was born of a woman (Gal. 4:4). Paul knew people called Brothers of the Lord (1 Cor. 9:5 & Gal. 1:19). On “the night” before he died Jesus handled bread and wine and taught Christians the theological ritual of the Lord’s supper (1 Cor. 11:23). In “the days of his flesh” Jesus cried and prayed to God to save him (Heb. 5:7). And that’s pretty much it, every other candidate being far weaker an example. This is what the best case for the historicity of Jesus rests on. So far. Of course, I argue in OHJ that key premises in all these arguments are faulty. But that is where the debate now lies. I contend there is no P20 we can reliably establish. Not even to a probability. All the candidate passages are actually so ambiguous in context, that they have no better than even a 50/50 chance of meaning a real historical fact, as opposed to an imagined cultic fact. But that debate is explored in detail in chapter 11 of OHJ. And this relates to how we understand all the literature (the New Testament) that Christians now appeal to as foundational to their faith. 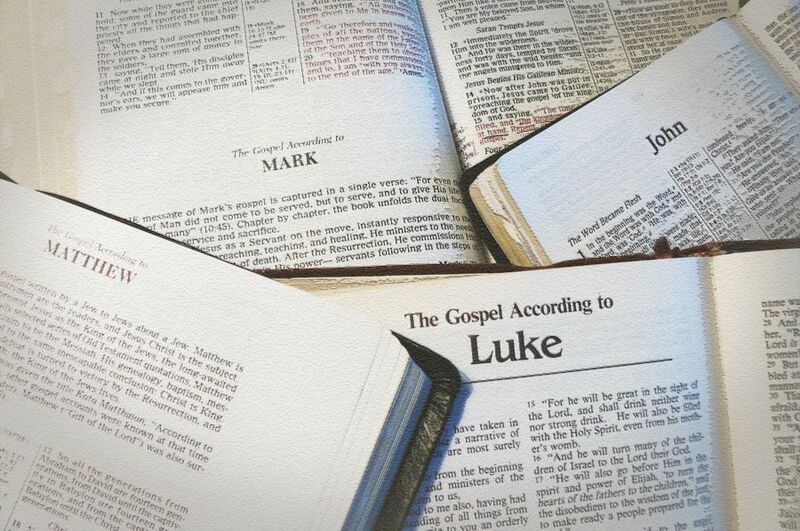 Were the Gospels garbled and fancified memories of an actual man and events? Or are they literary constructs manufactured deliberately out of whole cloth to communicate specific points about the gospel? Was Paul transforming what had been a cult of personality and just erasing the historical Jesus (and his very personality) from it, or was he just another revelator and exegete among many, the first simply being Peter, the foundational “Rock” on whose visions and interpretations of scripture the new sect was founded? How we read the text is also transformed. If Jesus was never baptized by John the Baptist, then what actually is the point of that story? We can only correctly understand the point of the story by answering that question. Likewise, who were the Brothers of the Lord and why did they matter? The meaning of what Paul is saying changes depending on how you answer that question. So the entire history of Christianity, its origins, and the origins and original meaning of its scriptures, entirely depends on the question of historicity. That is beyond trivial. So how do we proceed? We should start by examining the best case for both sides. And see which side has the sounder premises and logic, when everything is added up, nothing straw-manned, nothing swept under the rug. When all fallacies and falsehoods removed, from both sides, what remains? This essay will help get you started with answering that. OHJ will fill in the rest. We may end up simply not knowing whether Jesus really existed or not. But I put it to you, that an honest and unbiased inquiry, will not end up in certainty that he did.